This is my fishing journal. Fishing with my Grand Daddy is fun but when I fish with him and go on the boat it is the best day ever. 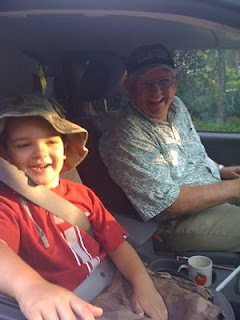 Heading off to the Warrior River early this morning -- ready to catch some fish. Caught the big one today!